Cambridge offers a bright finish and a traditional, yet understated design that is fit for any environment. 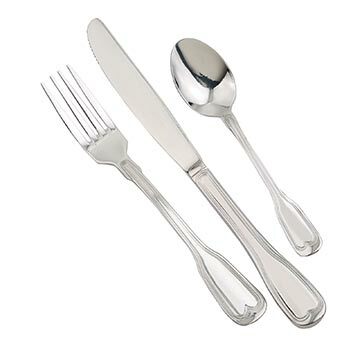 The clean lines and architectural texture give this flatware a warm, hearty feel. Made of 18% chrome stainless steel, Cambridge is a standard for long lasting durability and value.